If you are broken in spirit, please give us a call and let us help. In Where I Belong, Will tells his story of running from his past and searching for significance by living much of his life on the edge. 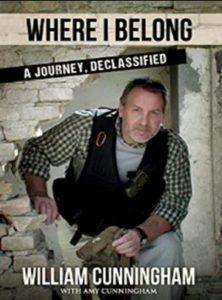 He details his experience of tragedy, trauma and triumph over a span of 45 years from sailing the high seas: dangling from helicopters; being chased by the Taliban; hunting down terrorists with special forces and government operatives to pastoring and helping people who are broken find blessings again.